On Saturday, January 14th at around 7:45AM, police responded to information received of a sack on the beach four miles north of San Pedro Town believed to be drugs. 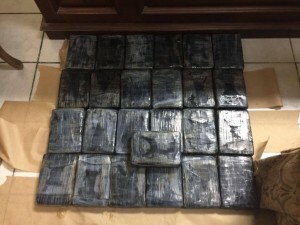 They visited the area and recovered the sack containing twenty five parcels of suspected Cocaine each weighing between 2.29lbs and 2.35 lbs; total amounting to 57.52 lbs. It was labelled as found property as no one was seen in the immediate area. 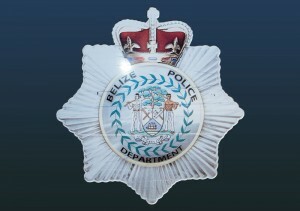 * Ernesto Caliz Jr has been charged for aggravated burglary and remanded to the Belize Central Prison. * Ian Cabañas was charged for two accounts of theft and one count of handling stolen goods. He has been remanded to the Belize Central Prison.